For one of the most romantic and memorable wedding settings you cannot overlook The Twelve Apostles in Camps Bay. From the magnificence of the bridal suite the bride-to-be can dress in space and comfort with all the trimmings before the stunning ceremony itself, which can be conducted against the backdrop of the mountains or the ocean in the beautiful gardens. You will be spoilt for photo opportunities to keep your memories of your special day fresh for a lifetime together. Customised menus are easily arranged as well as a choice of wines and floral decor throughout, the in-house Wedding Coordinator is only too happy to help and advise from start to finish and professional staff are on hand to help organise the big day and make sure all goes without a hitch. 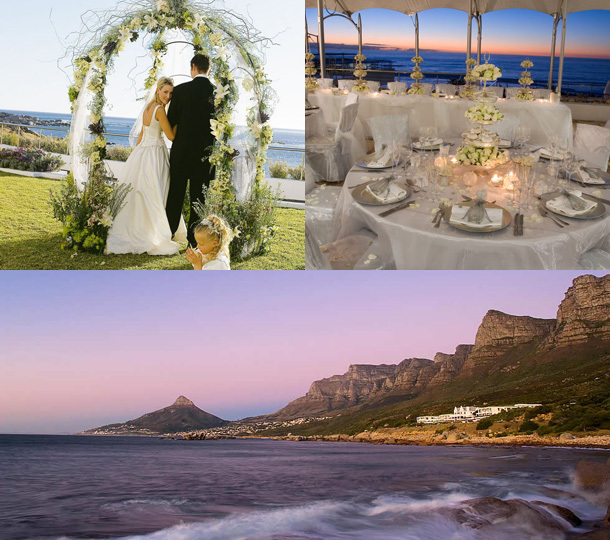 The Twelve Apostles also makes one of the top honeymoon destinations, with numerous activities on offer as well as the exclusive Spa facilities at your disposal you can begin married life feeling your best with the support of our first class service, healthy cuisine and romantic touches all around. Finally, our very own in-house cinema is perfect for a private viewing of the wedding video after the event so you can relive the magic together! 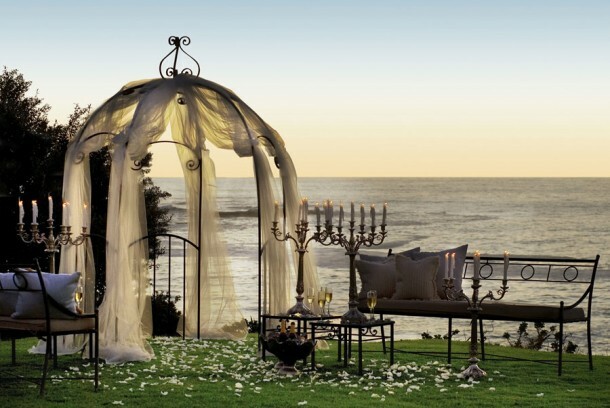 If you would like more information on the different options available for weddings please contact +27 (0)21 794-9050 to be put in touch with the wedding co-ordinator or see The Twelve Apostles for more info and photos.